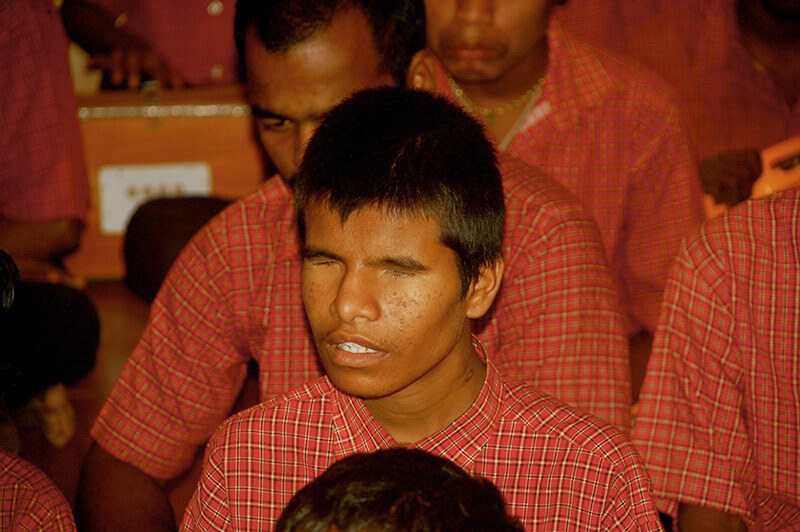 The Jyana Prajniya Blind Residential School in Mungod Karnataka is home to 32 students from classes 1 through 10, with 10 members of staff. This school is a prime example of the extreme poverty that has infiltrated several aspects of life in rural Indian schools. 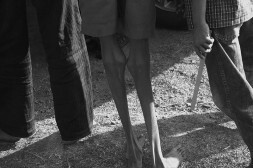 We saw that these children were not only faced with their visual disabilities, but due to little funding, they had to deal with scarce materials – including but not limited to shoes or slippers covering their bare feet. Some children were malnourished, some seemed depressed and very few seemed optimistic of their futures. It is not uncommon in India for people with economic or physical problems to resign their fate to poor destiny and become discouraged by it. The students sang a few songs for us, and amazingly a few of the children lead the group by playing musical instruments – a harmonium, a drum, a flute. It was quite clear early on, that the older students took it upon themselves to act as examples for the little ones and they did so with remarkable enthusiasm despite their circumstances. We are dedicated to providing them with the necessities needed on a daily basis so that school may be an enjoyable learning experience and inspire them. The Dalai Lama trust has given annual funds for daily running expenses like uniforms, kitchen expenses, text books, amenities like water and electricity, teacher’s salaries, etc. One of the oldest students and also the most vocal asked for a chance to meet His Holiness, as it had been a few years since their last encounter and they looked forward to it. We arranged a brief meeting for them and the children awaited His Holiness with a big banner representing their school, and His Holiness met with them and offered them some words of encouragement. This experience has been deeply touching and we are committed to giving these children a brighter future. They deserve not only what all children should have – a healthy and safe environment, but also the extra care, support and commitment required for children like these with special needs.